30-Nov-2012, quite a memorable day! Went over to her house. Workout through heavy lifting of flyers. Learnt about SingPost bulk mail delivery and process. More workout lifting flyers, pallets and bundling. Late lunch / early dinner at The Ship because she had craving for western food. Shopping at NEX for winter wear. Shopping for eyeliner at Watson's, chatting about the 5 human senses, relationships and love. LOL... smell the potential mate. Shopping for her favourite alcoholic drink... Baileys Irish Cream. Scouting 4 different condominiums around Bishan and Marine Parade. Chilling at 1 Twenty-Six + 'The Younger Man'. Ran into a university friend, found out her new job. Talked about our 5 year plan, current jobs and christmas parties. The Latest Trend In Singapore Food? Thai charcoal steamboat and barbeque, also known as Moo Kata, is very popular in Thailand due to its affordability and opportunity to socialize. 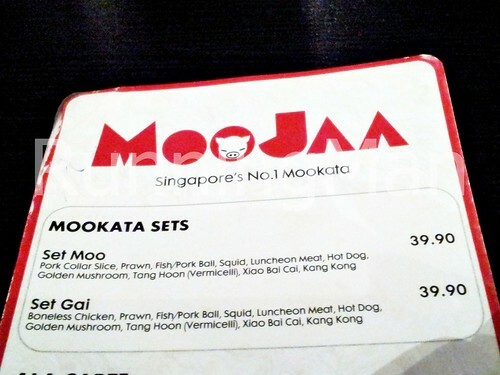 Recently, this concept has been catching on in Singapore, and MooJaa is one of the latest to jump on the bandwagon in August 2012. Sticking with the traditional way of eating Moo Kata, MooJaa uses a charcoal fire in a claypot, over which is placed a typical Thai steamboat BBQ. This consists of a small dome in the center, surrounded by a shallow ring for the soup. Vegetables and other ingredients are boiled in the soup, while pork lard is used to oil the dome, on which meat is then stacked and cooked. 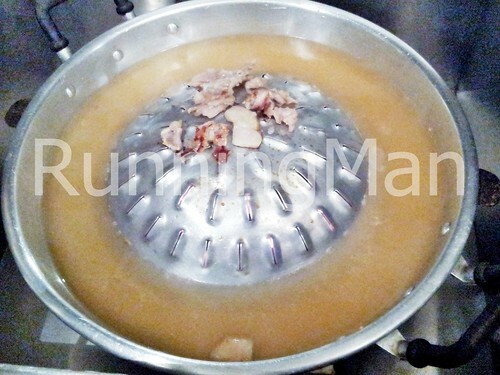 The idea is that the oil and meat drippings will gradually flow down the curved surface of the dome and flavour the soup, together with the other ingredients being boiled. Our visit to MooJaa was on a quiet week night, and it was the boss himself who demonstrated to us how to prepare the food. Thumbs up for the service as we had several special dining requests which they accomodated. The ambience at MooJaa was quite disappointing. Tables packed quite closely and seating is rather limited, so reserving in advance is recommended. Also, MooJaa is rather poorly ventilated, so the smell of food sticks to your clothes. I definitely won't recommend visiting during lunch, or you'll smell funky the rest of the day. The range of food available for steamboat BBQ at MooJaa is good, but not extensive, with options similar to what you'll find at other steamboat places. But how a Thai steamboat and barbeque differs is in the unique preparation method of Moo Kata, and the dipping sauces for the food. 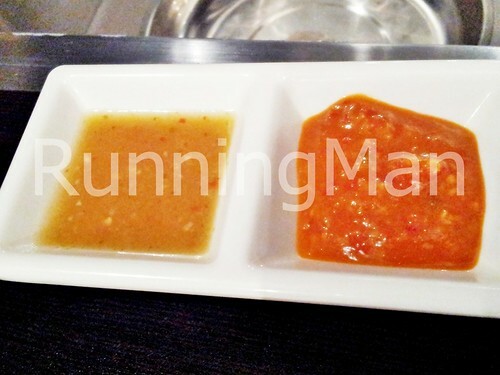 MooJaa offers 3 unique types of dipping sauce. 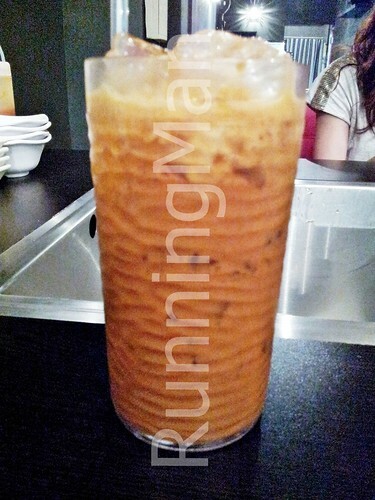 MooJaa also offers several traditional Thai dishes on ala-carte, though I've yet to try these. There are 2 types of sets available, the traditional pork and seafood set, or the chicken and seafood set. The dipping sauces are what makes this experience 'Thai'. The Lemongrass Sauce is great with seafood while the Garlic Chili is best paired with meat. 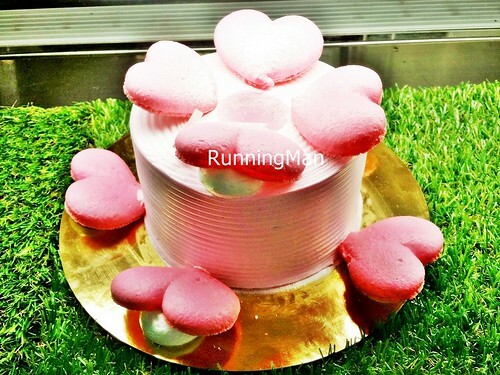 These home made specialities are made from secret in-house recipes! The traditional Thai steamboat and barbeque Moo Kata, over a claypot filled with charcoal. Chicken Wings are a part of the chicken that is eaten in many places around the world. It is especially popular amongst children. Chicken Wings may be served as a side dish to accompany the main meal, as an appetizer before a main course, or simply eaten on its own as a snack or for sharing. 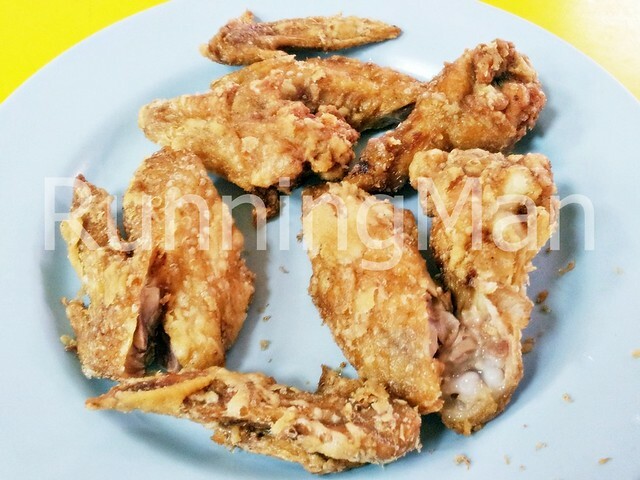 In Singapore, when ordering Chicken Wings on its own, there are 2 different types of preparation styles, namely, Barbeque Chicken Wings and Fried Chicken Wings. A stall that offers Chicken Wings will typically only specialize in 1 style. The most popular style is Barbeque Chicken Wings. This often involves spit-roasting the wings, although some hawkers use grilling and basting instead. 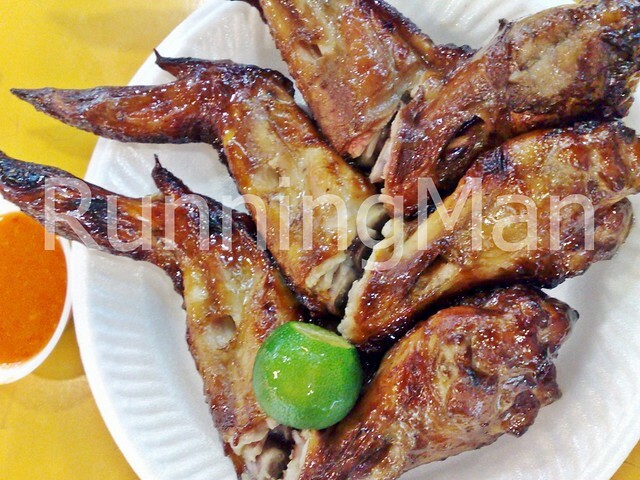 Traditionally, Barbeque Chicken Wings are spit-roasted over a charcoal fire, however, many hawkers have taken to using electric grillers nowadays. Barbeque Chicken Wings should have a taut, crisp, and deep brown colour skin, while still being juicy within. Barbeque Chicken Wings are often served with a slice of lime and a spicy garlic chili sauce. 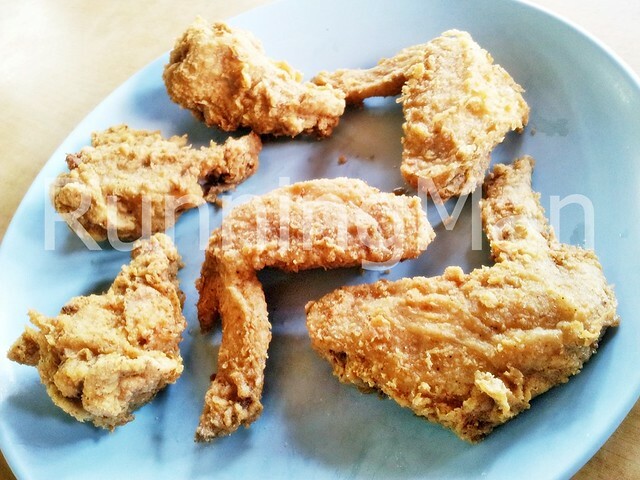 Fried Chicken Wings are prepared by first dipping them into a batter, then deep frying in oil. Some hawkers also add various spices and seasonings. 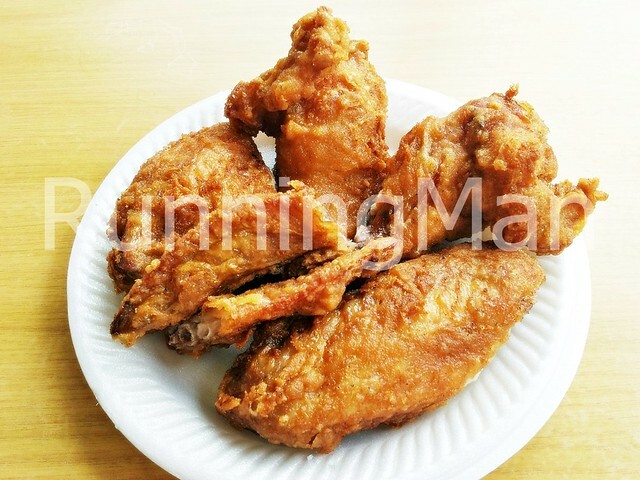 While recipes for Fried Chicken Wings differ from stall to stall, common batters used include rice flour, all purpose flour, and cornmeal. When done, Fried Chicken Wings should have a crisp and light golden brown skin, and juicy within without being soggy or oily. Fried Chicken Wings are often served with a side of french fries / english chips / buttered rice / white rice, coleslaw and chili sauce. In Singapore, Chicken Wings are often eaten as a side dish or for supper. 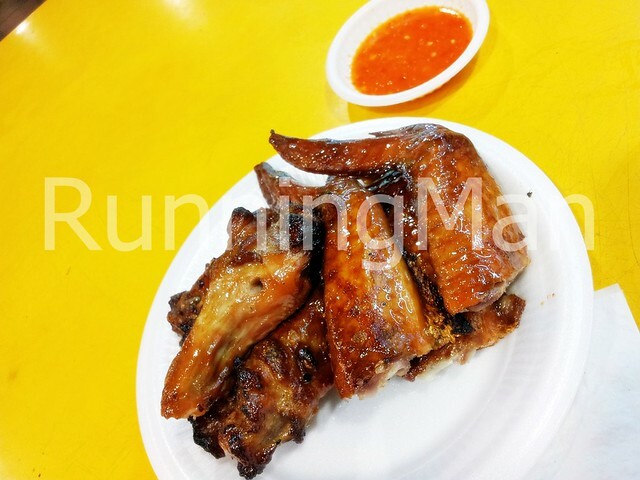 While many restaurants have Chicken Wings on the menu, stalls specializing in Chicken Wings are somewhat uncommon in hawker centres. 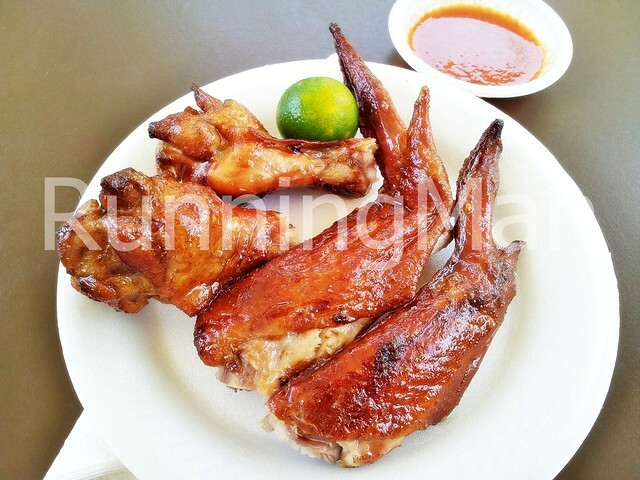 These are the top 3 stalls which I feel serve the best Barbeque Chicken Wings in Singapore. These are the top 3 stalls which I feel serve the best Fried Chicken Wings in Singapore. Spent about SGD $4 per person. 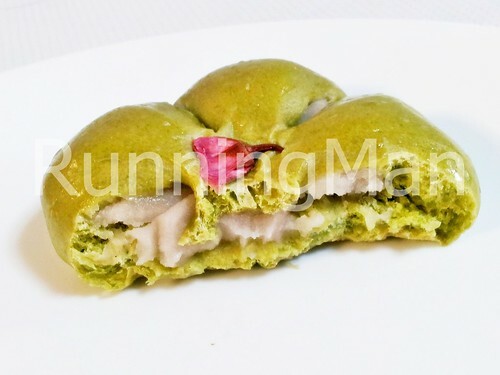 Green Pumpkin Japanese Bakery stands apart from the usual heartland bakeries and western-inspired bakeries by its use of Japanese ingredients. 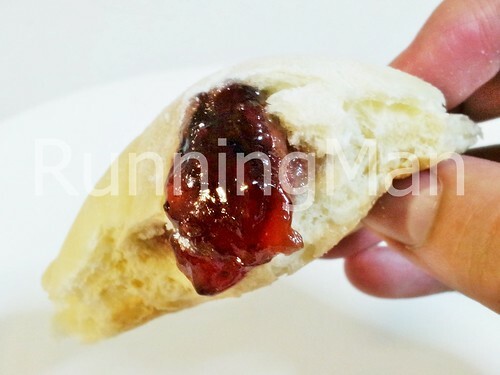 In fact, the baking flour has been directly imported from Japan. 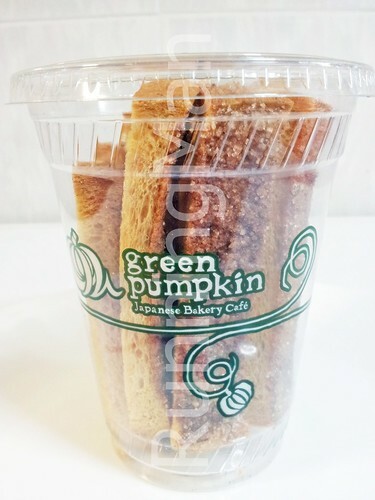 Green Pumpkin Japanese Bakery is owned by RE & S Enterprises, which also owns well-known brands like Ichiban Boshi, Kuishin-Bo and Fiesta. 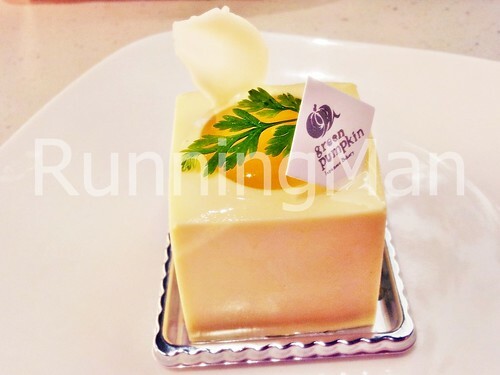 Catering to a specific niche, Green Pumpkin Japanese Bakery is well designed and decorated. It's probably one of the best looking bakeries I've seen (Note the overhanging lamp which looks like a green pumpkin). As part of a Japanese food street, you have the option of dining here, although take-away is still preferred by most. 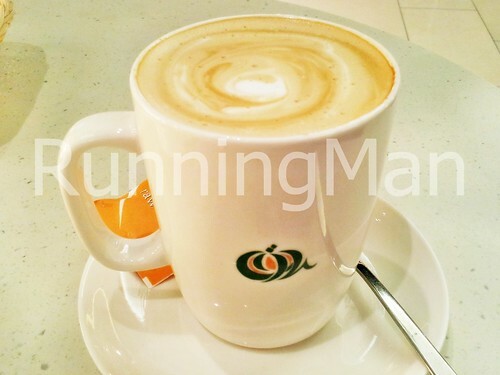 Note however, that the actual bakery itself doesn't have seating, so you'll have to go to the partner cafe nearby. Nothing much can be said for service, as Green Pumpkin Japanese Bakery is self-service, except for payments at the cashier. 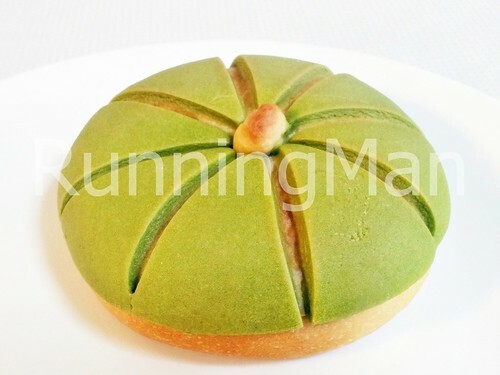 Green Pumpkin Japanese Bakery uses primarily Japanese flavours in its bread, cakes and pastries. 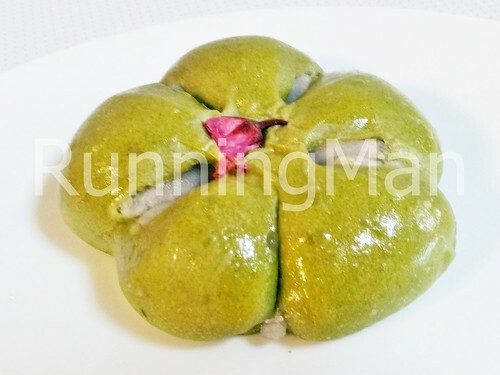 The most common flavour is green tea, which is infused into the dough, giving it a distinctive green colour. Other japanese flavours used include yuzu and sakura (cherry blossom). 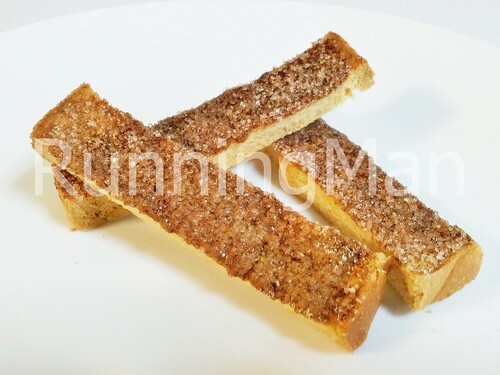 Their bread has a springy, chewy texture, which I like. 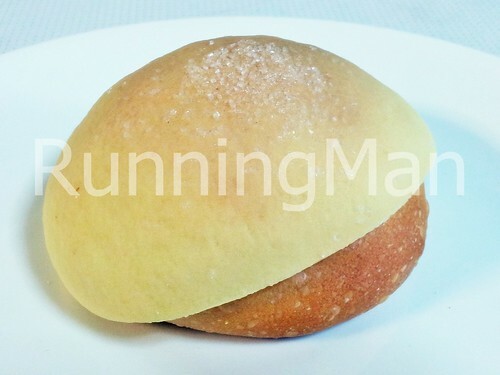 Green Pumpkin Japanese Bakery has several types of signature buns, including the traditional Japanese anpan and melonpan. More Taiwanese and Szechuan restaurant than Chinese Zi Char, The Asian Kitchen serves up delicious Taiwanese and Szechuan inspired dishes in a casual, modern setting with great service. Ambience at The Asian Kitchen is simple and comfortable. Decor is minimal, but designed with touches of oriental influences. This is the kind of place you could have a business lunch, then casually continue discussion after your meal. The Asian Kitchen is also suitable for group dining, or casual dates. I find the service at The Asian Kitchen to be excellent. Staff are friendly and attentive to requests, and the food is served surprisingly quickly. Overall, I've had a good impression of the service here. The food at The Asian Kitchen is also outstanding. 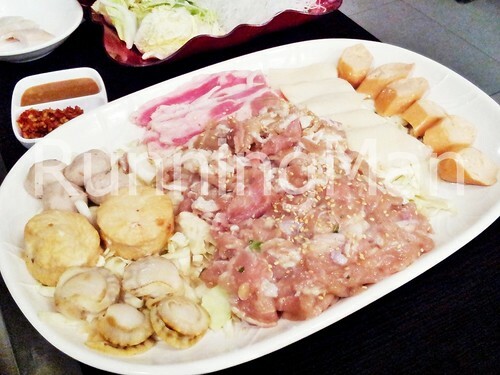 The menu is Taiwanese and Szechuan in nature, with some Chinese Zi Char dishes as well. Overall, the food is fresh and flavourful. However, there were a few dishes which weren't as good as the others. Ask those who've dined here, and the following dishes will usually be recommended - LuGang Fried Rice, T.A.K. Chilli Soft Shell Crab Noodles, Tanghoon Paradize, Any Soup on the menu EXCEPT the Seafood Tofu Soup, Reunion Omelette, Original Teahouse Crispy Duck, or T.A.K. Pork Belly. I find myself wishing I had discovered The Asian Kitchen earlier! T.A.K. 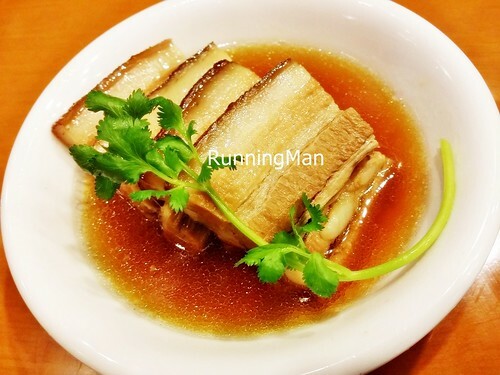 Pork Belly is one of the signature dishes. Well marbled sliced pork belly is flash fried, leaving the outside crisp but the inside moist and tender. Very sinful but addictive. Eat it with the pickled cabbage for extra kick. Grandma Wu's Vegge is basically stir-fried sweet potato leaves. The vegetables are fresh and still crunchy after cooking. 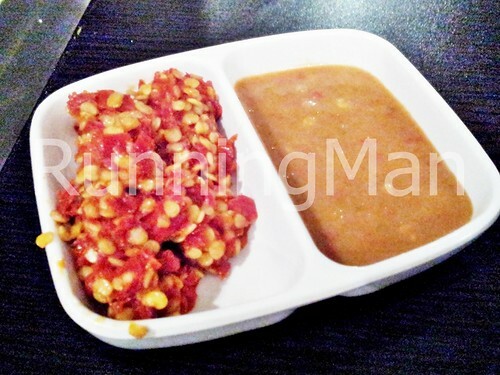 You have a choice of preparing it with garlic or with sambal chili. The LuGang Fried Rice is a signature rice dish with generous sprinkling of eggs and chinese waxed sausage (Lup Cheong), and 4 - 5 shelled prawns. Very fragrant and aromatic. Tanghoon Paradize is a signature noodle dish, and you can choose to have it spicy or non-spicy. While somewhat oily, the dish is highly aromatic, and the noodles have been infused with flavour, resulting in a tasty dish. On its own, the Signature Roast Pork is above average. The skin is slightly crisp, and the meat has very little fat, but with a porky taste. When compared with other dishes in the restaurant however, I have to say this was the absolute weakest dish I've had here, and is best skipped. Ironic that their supposed 'signature' dish is actually the worst, while the 'normal' dishes are much better. The Asian Kitchen is famous for their soups, and Ah Ma Spinach Soup is one of the must-tries on the menu. Filled with spinach, eggs and minced pork, the soup is thin but flavourful. Extremely satisfying, and I could probably drink bowls of this! The Garlic Dou Miao is one of the recommended vegetable dishes here, because of its crisp and clean flavours, and crunchy texture. Teochew chinese folks will love this. While tasty, the Salted Egg Season Beans comes in rather small portions, and isn't value for money as compared to some of the other vegetables dishes. But the unique combination of salted egg flavours and crunchy long beans might be worth a try. The Seafood Tofu Soup is without a doubt, the weakest soup on the menu. This is because of poor naming, as this dish has very little seafood within, with only a few pieces of prawns and fish. It's more of a tofu soup, and as such, not value for money at all. The soup has the consistency of a stew, thick and somewhat gluey. The overall flavour is weak because tofu naturally doesn't have much taste, and the soup isn't enhanced with other flavours. This is the only soup most people will tell you to avoid here, as every other soup is fantastic. The Chicken Mushroom Pot is a love-hate dish, as some like it, while others don't. It's basically a claypot of chicken and mushrooms, with a savoury chicken gravy. Those who like it will praise the savoury umami taste of the gravy, and chunky pieces of tender chicken. Those who don't may point out that the chicken contains a lot of bones, or that there are only 3 - 4 mushrooms, or that the gravy is too little. A combination of fried prawns fritters and salad prawns, with a twist. Lean bacon is wrapped around shelled prawns, deep fried, and served with thousand island sauce. Very tasty but unhealthy. The Alley Oyster Omelette, while tasty, had only 4 - 5 small oysters within. Not very value for money, skip this and go for the Reunion Omelette instead. The Apple Chicken Soup is served in a smaller bowl compared to the other soups, and is a sort of fusion double boiled soup. The chicken is fall off the bone tender, and the apples are soft enough that chewing isn't required. The Cereal Fried Rice is sweeter and more fragrant than the LuGang Fried Rice, due to the additional covering of fried oats. Tasty, but those who prefer more ingredients in their fried rice should opt for the LuGang Fried Rice instead. A signature item, the Original Crispy Duck is tender and juicy, and the small portion size is enough for 3 people to share. The skin is nicely roasted, crisp and salty. Tasty Fish Slices. Very Fresh. Thickly sliced. Salty. Savoury. Delicious. 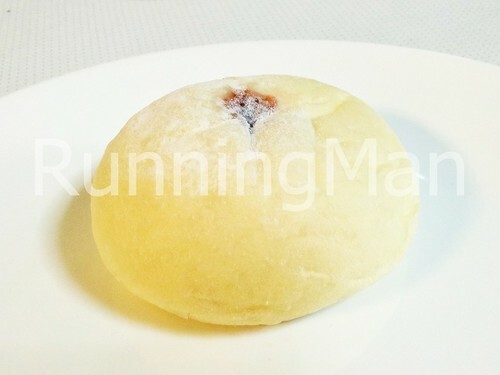 The Taiwan Granny Meesua is pretty good, though slightly lacking in ingredients. 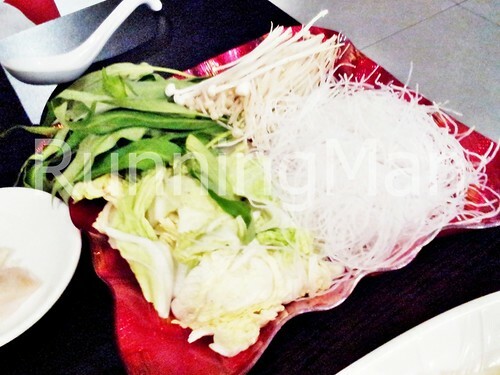 The soup is nicely thick without being too gluey, and the noodles are cooked perfectly, not too hard and not too soft. But the only other ingredients within is 4 - 5 oysters and some sliced mushrooms, they don't add shredded chicken. The Stew Pork Noodle surprised me, as the noodles were pratically drowned in the thick layer of minced pork. Another very good dish! The T.A.K. Braised Pork Belly was rather decent, tasty but not outstanding. The soy braising sauce was a little thin, not able to properly coat the meat, plus there was a very strong porky smell which may not appeal to everyone. The T.A.K. Signature Roast Chicken is quite good, above average for a typical roast chicken. The gravy is proper chicken rice gravy, and the cucumbers are fresh and crunchy. 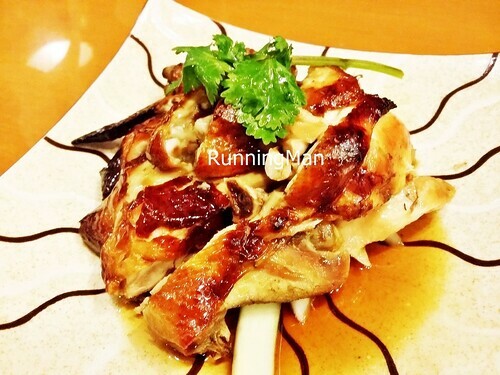 The chicken meat is tender and well cooked, but not dry, and the skin is wonderfully crisp. 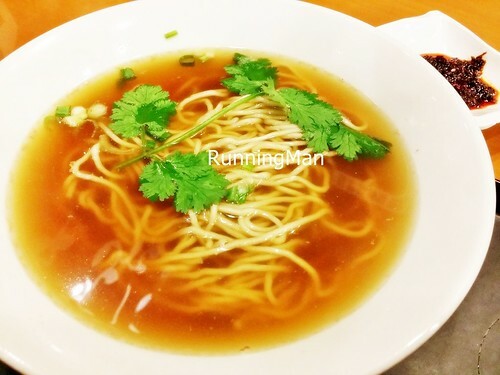 The La Mian Soup has nice flavour, and the noodles are springy with a slight bite. Not freshly made noodles, but still decent. Disclaimer: This list was accurate at time of publishing in November 2012. Be advised that since then, these shops may have either closed / ceased operations, or relocated. Please check their websites, and contact them directly to verify. As a photographer and graphic designer, I like creating digital images. And I also like giving unique or unusual gifts to my friends. So I'm always on the look-out for shops that are able to custom make gifts, take photos and print them on various stuff as a personalized gift, or various novel and unusual gift ideas. This includes shops that take your photos and graphics to print t-shirts, print mini t-shirts, create photo mugs, create photo jigsaw puzzles, engrave keychains, and print pillow cases. Or shops that personalize gifts with names. Here are some Singapore shops and online stores that I've patronized over the years. For personalized name keychains or personalized name handphone straps. For printing t-shirts, printing mini t-shirts, printing pillow cases, printing tote bags, printing banners, printing brochures, printing newsletters, printing posters or printing mugs. For printing mini t-shirts, printing pillow cases or printing mugs. For printing t-shirts, printing jigsaw puzzles, printing mugs or engraving crystal plaques. For printing t-shirts, printing mini t-shirts, printing jigsaw puzzles, printing pillow cases, printing tote bags, printing mugs or printing calenders. For printing name cards, printing brochures, printing newsletters, printing posters or printing banners. For bulk printing t-shirts, bulk printing brochures, bulk printing newsletters, bulk printing name cards or bulk engraving of plaques. For personalized hand made glass items. Village Smith / Gemworks / SS316 / Superheroes Inc.
For personalized laser-engraved rings, personalized laser-engraved keychains, personalized laser-engraved plaques or personalized laser-engraved signs. For DIY paint-by-numbers painting kits with ready-made design templates. For DIY paint-by-numbers painting kits with ready-made design templates or other curios. For balloon art supplies, balloon twisting supplies or balloon modelling supplies. For balloon art supplies, balloon twisting supplies, balloon modelling supplies or special seasonal balloons supplies. For sand art kits or scratch art kits. For DIY / customized costume jewellery using Swarovski Elements. For personalized hand made embroidered pillow cases or personalized hand made embroidered hand towels. For personalized hand made embroidered pillow cases, personalized hand made embroidered hand towels, personalized hand made embroidered teddy bears or personalized hand made embroidered t-shirts. For personalized hand made mini-gardens or terrariums. For customized hand made mini-gardens or terrariums. For customizable lamp shades that can be made into a variety of different shapes. For comic books and collectibles. For comic books, t-shirts and collectibles. For table top games, board games, card games and collectibles. For table top games, board games, card games, hobby kits and collectibles. For LEGO toys and collectibles. For movie thematic and comic book toys and collectibles. For personalized USB flash drives, offers multiple designs. Spent about SGD $5 per person. 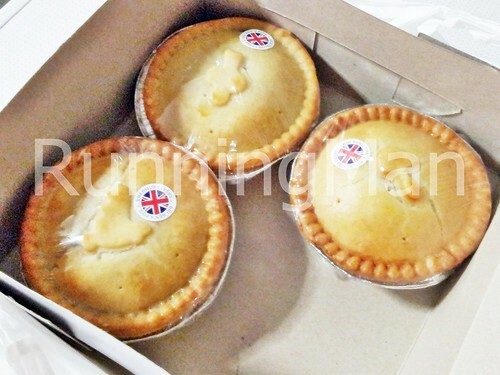 The Big Ben's Pies store at Bedok's Swan Lake Avenue has expanded, and the brand is now in the basement of Ngee Ann City, albeit in a much smaller capacity as a partner of Huggs Coffee. The menu at Big Ben's Pies is much smaller than before, as they currently only focus on their best-selling, most popular pies. 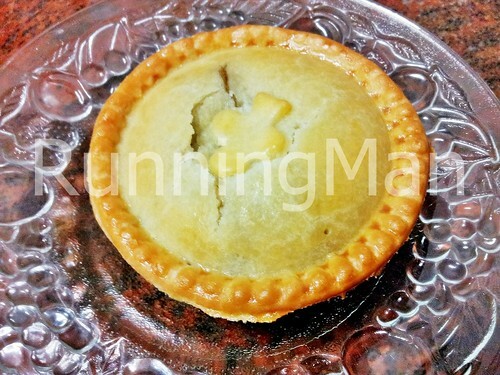 As a result, you're virtually guaranteed to get a great tasting pie. 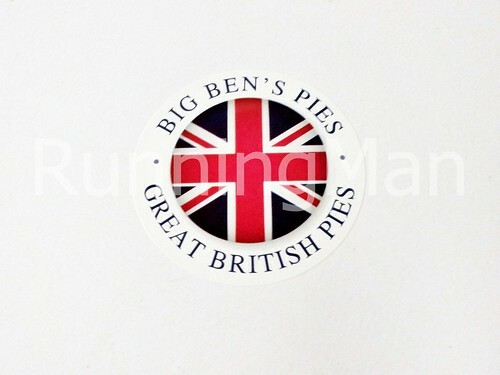 Big Ben's Pies offers traditional British pies, which are typically savoury, meat-filled pies. What I like about Big Ben's Pies is their chunky, tightly packed fillings. 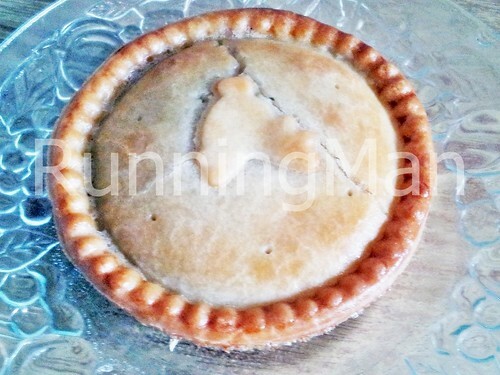 You'll notice very little starch or 'fillers', and the crust isn't too thick. I mostly get take-away at Big Ben's Pies, but dining-in is pretty good too. A traditional pie served all over England, the Steak And Guinness Pie is made with chunks of beef, onions, brown meat gravy and Guinness Stout. 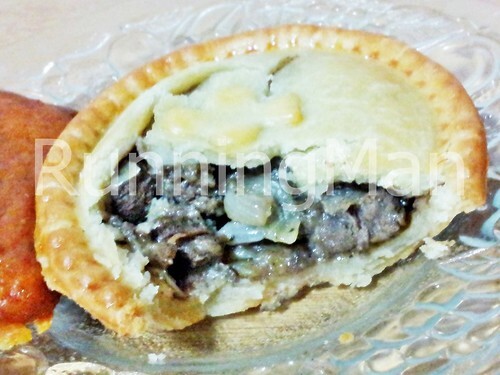 The beef in this savoury British pie has been stewed till tender, and can be eaten as a light meal / snack, or for supper. 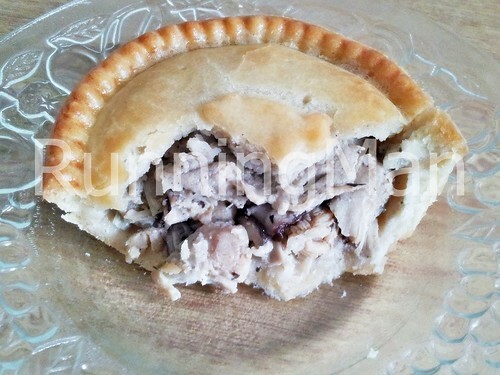 In England, the Chicken And Mushroom Pie consistently ranks as the most popular pie. Made with sliced chicken and mushrooms in a cream sauce, this savoury British pie can be eaten as a light meal / snack, or for breakfast.